Dr Kwadwo Ansong Asante, a senior research scientist at the Council for Scientific and Industrial Research (CSIR), has condemned the indiscriminate burning of electronic waste since it emits various contaminants into the environment. According to him, burning of electronic appliances emits polychlorinated biphenyl (PCBs) and brominated flame retardants (BFRs), which are major causes of cancer and fertility problems in women, among others. 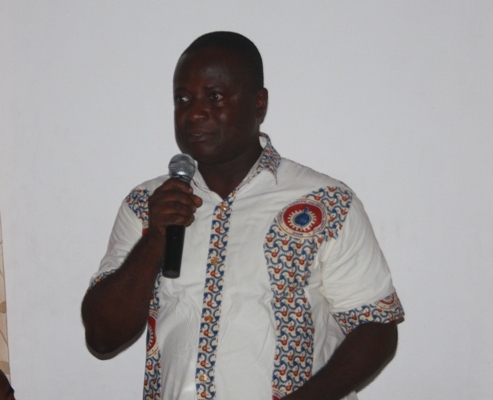 Dr Asante was speaking at an in-house review seminar in Accra on his research into the assessment of human exposure to PCBs and BFRs through fish consumption in Ghana. “We need to put a stop to the indiscriminate electronic waste burning which is a major way of exposing these contaminants into the environment. When you burn these e-wastes, apart from BFRs that are emitted, you also release very toxic compounds we call dioxides. These chemicals are causing harm to humanity,” he stated. The senior research scientist said BFRs were incorporated in capacitors, condensers and transformers on appliances and gadgets to slow down the initial phase of a fire. He highlighted that another major source of transfer of BFRs to humans was the consumption of contaminated fishes and animals. “These toxic contaminants such as PCBs and BFRs are in fishes and any form of animal you can find. One of the reasons is that they are said to be lipophilic – they are found in lipid rich tissues and fatty tissues – and tilapia along with other species of fish have a lot of fat. These toxic contaminants are transferred to human beings through consumption,” he said. Humphrey Darko, another research scientist at CSIR, also said his research on ‘An Index Assessment Of Water Quality In Some Selected River Systems’ in Ghana revealed that water bodies found in areas where illegal mining was rampant were poor in quality. “Contaminants that go into the water are mostly from human activities like illegal miners who introducing some unwanted chemicals into the water and at the end affect the quality index of water,” he said. Mr Darko urged the regulatory bodies like the Environmental Protection Agency (EPA) and Water Resources Commission of Ghana (WRC) to stop the illegal mining activities in the areas that pollute the water bodies.